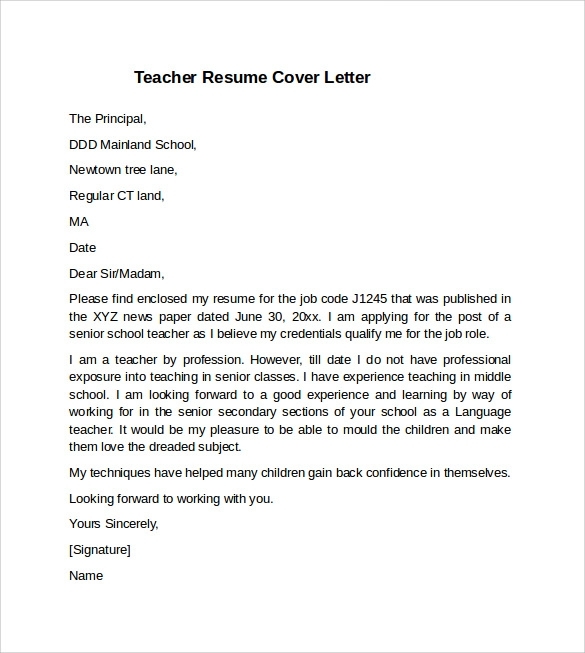 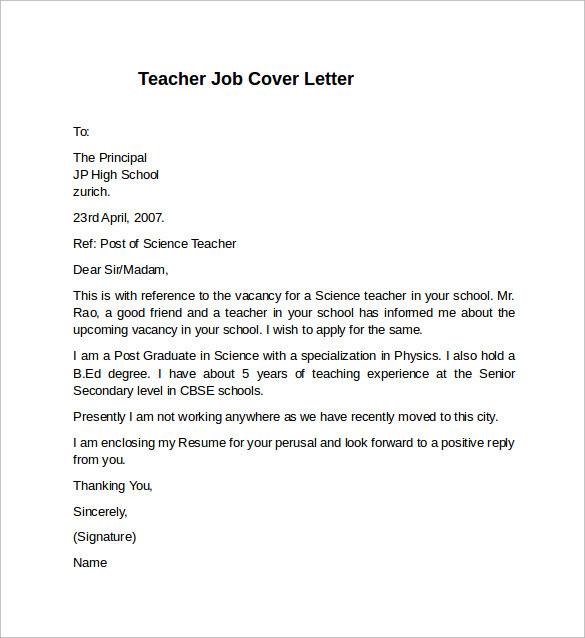 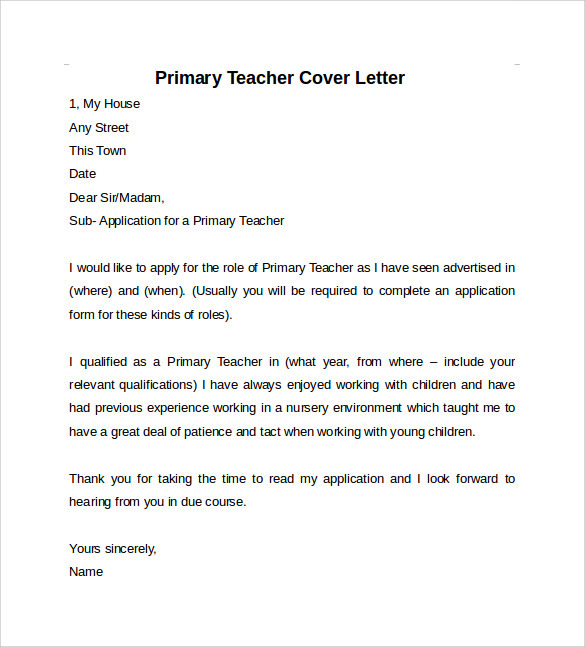 A Teacher Cover Letter must be written in a professional tone but at the same time must show the affection that you have towards your career. 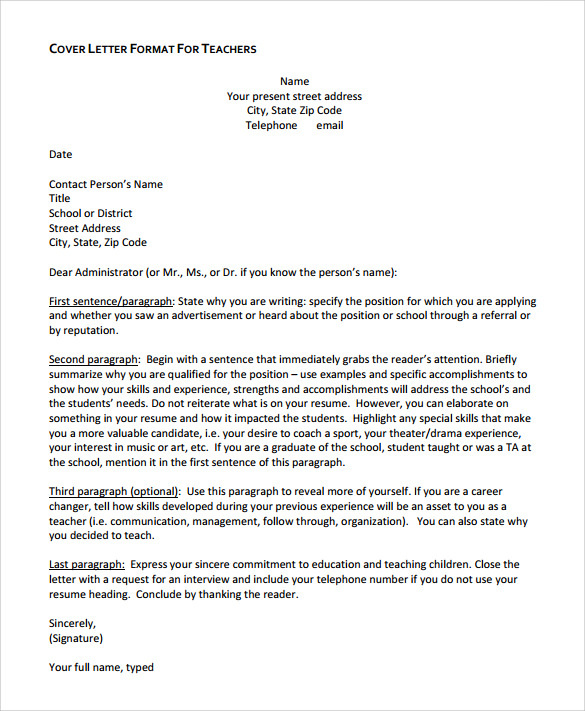 In detailed mention about your qualifications and degree is a must, apart from which any other courses must be written about if you have a specialization in it. 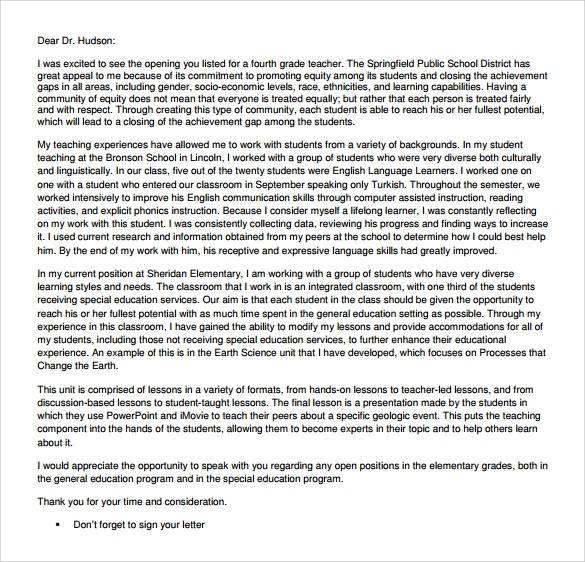 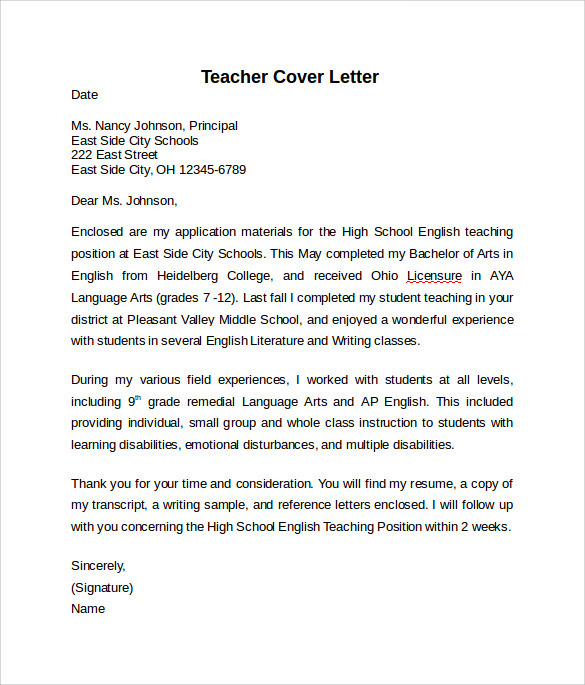 Your interest as a teacher must be evident in your cover letter with the convincing tone of the letter overall. 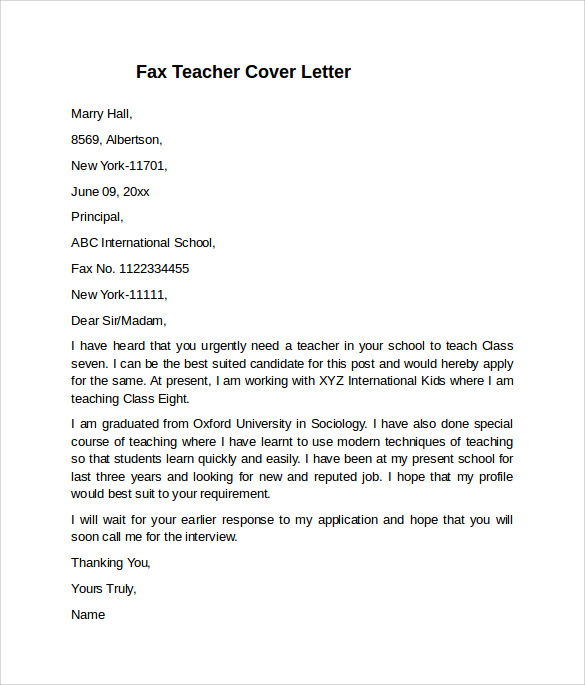 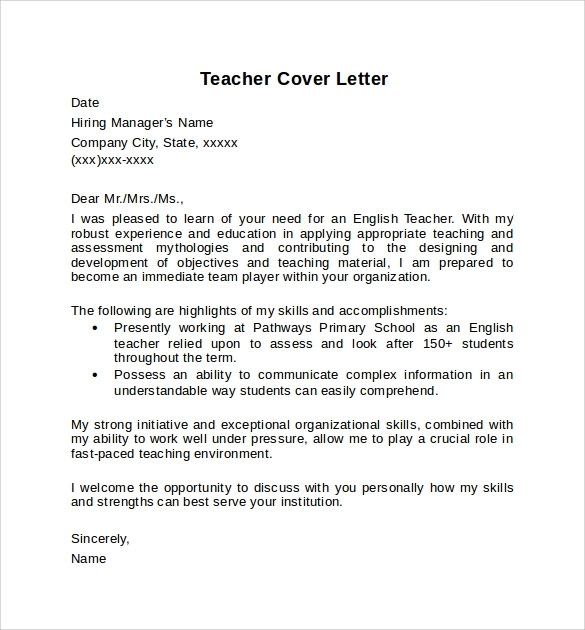 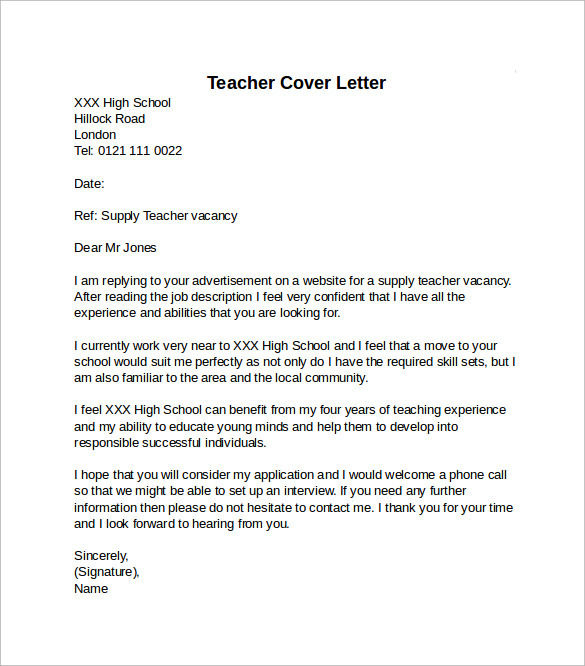 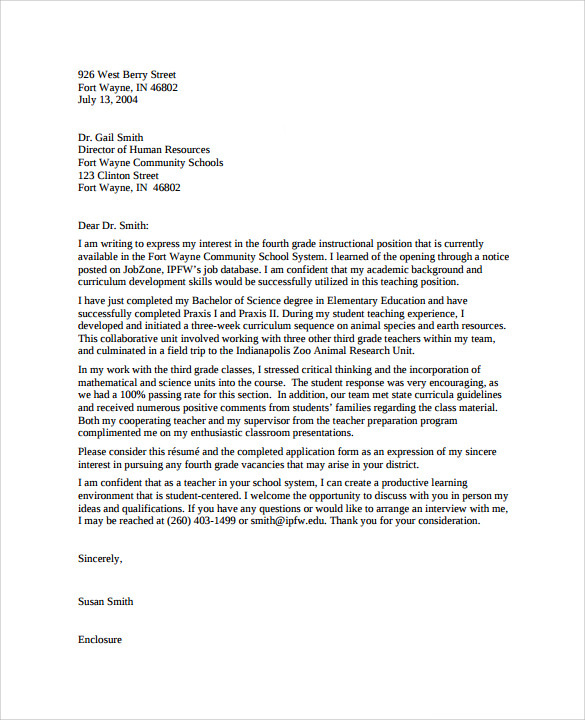 The Teacher Cover Letter Examples can be downloaded from the site in file formats like PDF or word document.